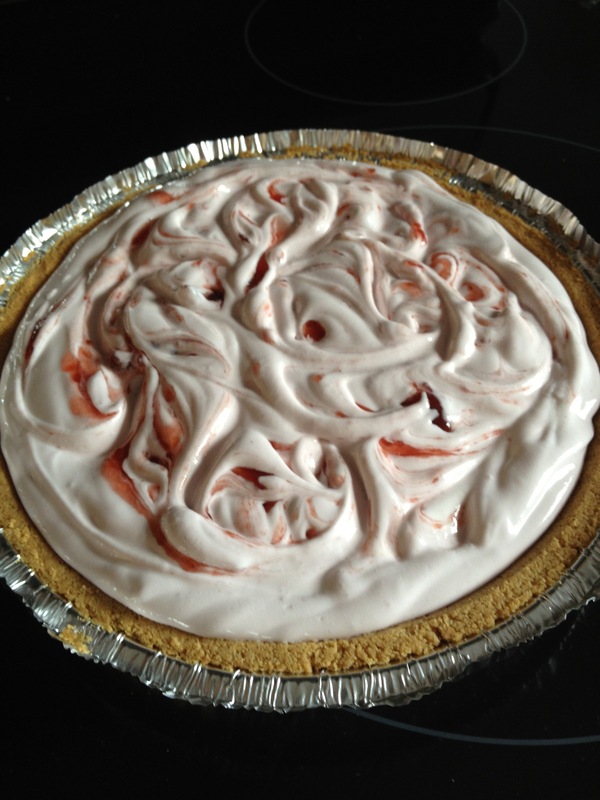 This easy icebox pie recipe always reminds me of summers growing up in CT, on days when no one felt like finishing off a meal with anything but something light and refreshing. This pie makes use of a ready-made graham cracker crust, a combination of Greek and regular yogurts, and light cool whip. Mix it up, pour it into the crust, run a knife through the top to make it look pretty, stick it in the freezer for a few hours, and voila- dessert couldn’t be any easier! Preheat oven to 375 deg. Bake crust 6 minutes. In a large bowl, mix together yogurt and cool whip until smooth. Fill crust. Heat preserves 30 seconds or until runny. Pour over top of pie and swirl slowly with a knife. Freeze at least four hours. Thaw 15 minutes before serving. Garnish with fresh fruit.